One of the true culinary wonders of the world, truffles have been used to improve the gastronomy of civilizations for thousands of years. Often referred to as the “fifth essence,” truffles are known for their array of aromatics and distinct taste, releasing a feeling of euphoria to all those who indulge in them. Since 1986, La Rustichella has been one of the world’s leading producers of truffle products, including their Moliterno Black Truffle cheese. Made on the island of Sardinia off the coast of Italy, Moliterno is produced with 100% raw sheep’s milk. Unusual to cheeses including truffles, Moliterno infuses truffle shavings after the cheese has begun to mature and develop its own flavor profile. Though the truffles are only visible through the veins, the truffle flavor is incorporated throughout the paste. Aged for three months, Moliterno is incredibly textured, deliciously pungent, and salty. 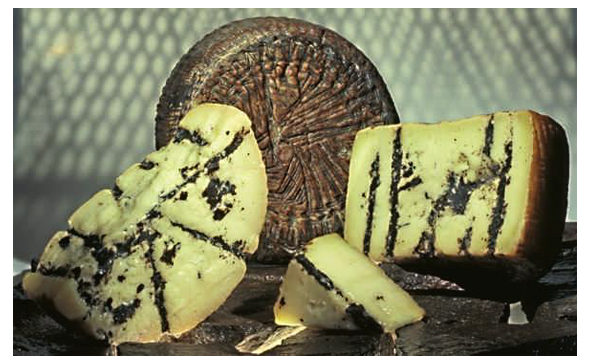 Once cut, the black truffles ooze out of the crevices, creating a delectable, delicious and intriguing cheese. Pair Moliterno with luscious Italian reds like Barbaresco, Barolo or Amarone. A strong Imperial Stout would also be an ideal pairing. While obviously decadent in its own right, try using this cheese in a unique macaroni and cheese recipe, or a potato gratin. 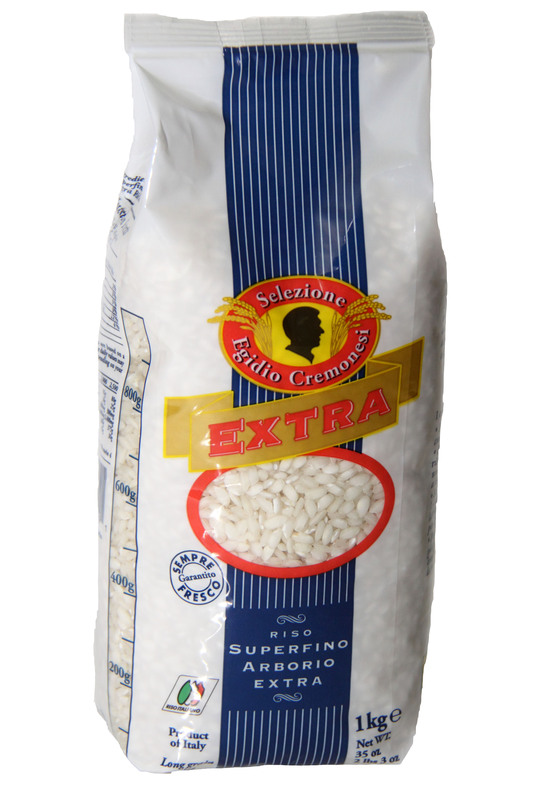 Arborio rice is the best known variety in the superfine (super fine) Italian rice category. This small, pearl colored grain is most loved by Italians for its round shape and its starch content. Released in the slow cooking process, its high starch content creates a creamy, butter-like consistency, perfect for risotto. Classic northern Italian dishes use Arborio rice for Risotto alla Milanese or Risotto with Truffles. Enjoy a simple risotto dish tonight with Cremonesi’s Arborio Rice and Moliterno Pecorino with Black Truffle. Prepare the rice according to your favorite risotto recipe and add about ½ cup of this creamy pecorino and truffle cheese at the end for an authentic Italian dish sure to please – mangia!